Excellent whisky with a flavour profile that you just don't get at a younger age. Really good stuff from Balblair. Very elegant with plenty of subtleties, a hint of furniture polish and a distinct fruitiness. Lots of apples and dried apricots, as well as lemon zest and oranges. Plenty of sweetness from honey and beeswax. Some very subtle spices, mainly cinnamon. Nice interplay between citrus fruits, sweetness, and spices. Hints of grapefruit and lemon, as well as honey, cloves and black pepper. Good stuff. Nose: elegant and delicate. Spiced honey and stewed fruits. Tinned peaches. Hints of beeswax again. Subtle leather. Great fruitiness, both dried apricots and fresh, tart citrus. It shows that this is a near-30 year-old because of the nicely fragrant American oak elements. Mouth: a malty core with juicy fruits again (stewed pears, peaches) with marmalade, honey and creamy vanilla. A little milk chocolate and cinnamon pastry. Candied ginger and whiffs of chilli. Finish: long, half sweet, half spicy with lingering milk chocolate and a hint of coconut. This one is simply very good. Immediately attractive but even better when you give it time to unfold. A really fair price for a 26 year-old OB as well (considering the current market), so recommended. Beautiful medium-bright color, restrained pleasant nose, sherry, some vanilla, a little fresh wood. Taste: very intense, slight sharpness of the alcohol clearly noticeable, can therefore tolerate water, sweetness, vanilla, pleasant overall impression, medium to long finish. 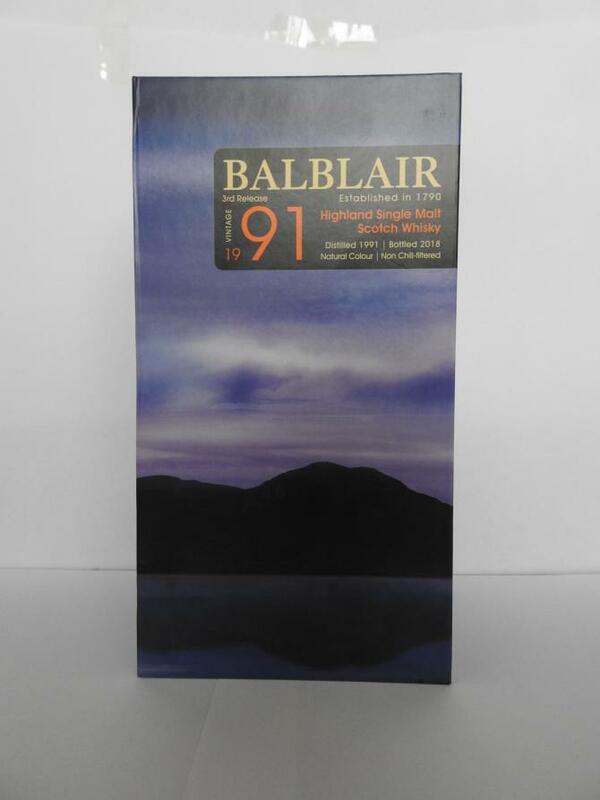 Not quite as round, sweet and intense as the 1990 2nd release of Balblair, which I would definitely prefer. 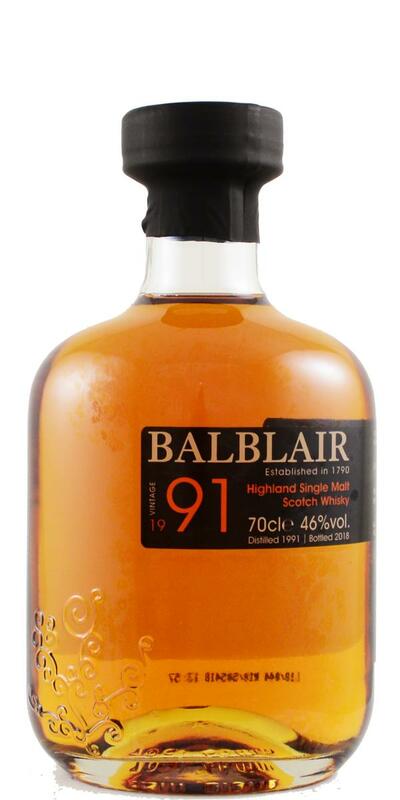 Addendum from March 2019: Since the core range of Balblair change (not vintage but age information) and should increase significantly, the current price of about 140 € for such a balanced and old Balblair with 26 years almost "cheap". I therefore recommend: stockpile now. Fresh and fruity nose, with a nice sweet and sour note. In the mouth then not very fruity, but strong spicy, chocolaty, clear peppermint tea with honey. Long finish with fresh mint, without bitterness. Overall, very complex. There is a lot to get out there. I like it really well. The exact opposite of my other bus dropouts. Coffee, mocha, chocolate, raisins, blackberries, dates, figs, apple, pineapple, mandarins, blueberries, cherries, walnuts, wax, honey and a hint of leather. Raisins, walnuts, cinnamon, coffee, dates, blackberries, baked apple, leather, honey, chocolate, mandarins, grapefruit, hint of ginger. Long, dry, walnuts, coffee, leather, old wood, dried fruit, honey and wax.